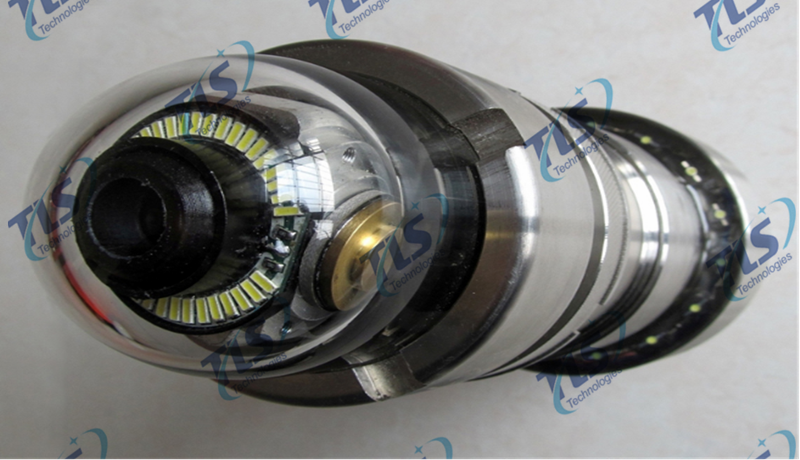 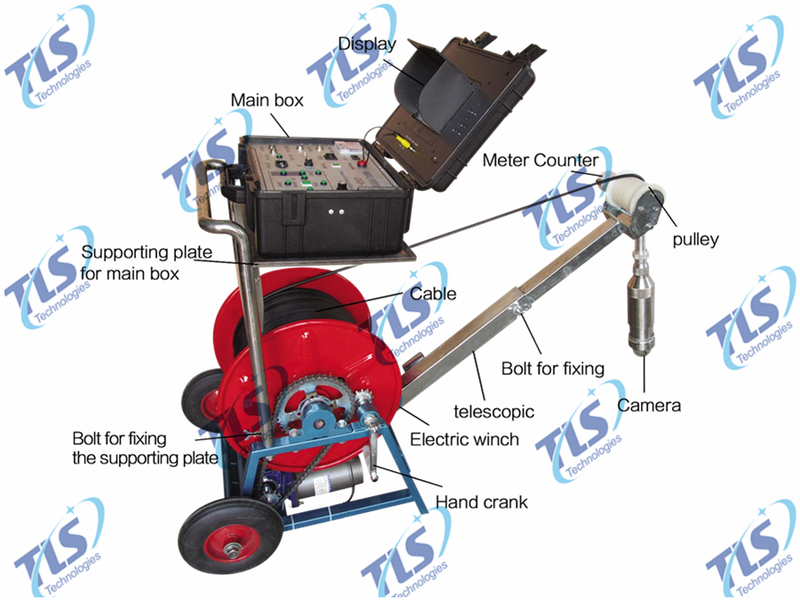 TLSY-ER Borehole Inspection Camera System - Buy Rotable Borehole Inspection Camera , Rotary Borehole Camera, Rotatable Borehole Camera Product on TLS Technologies Co.,Ltd. 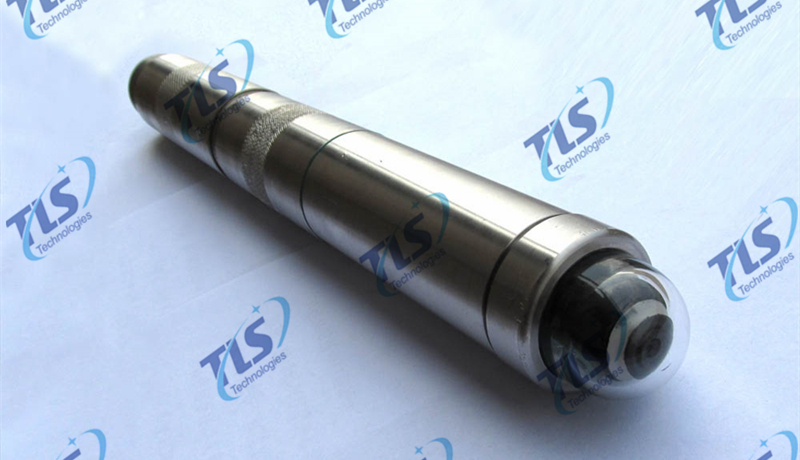 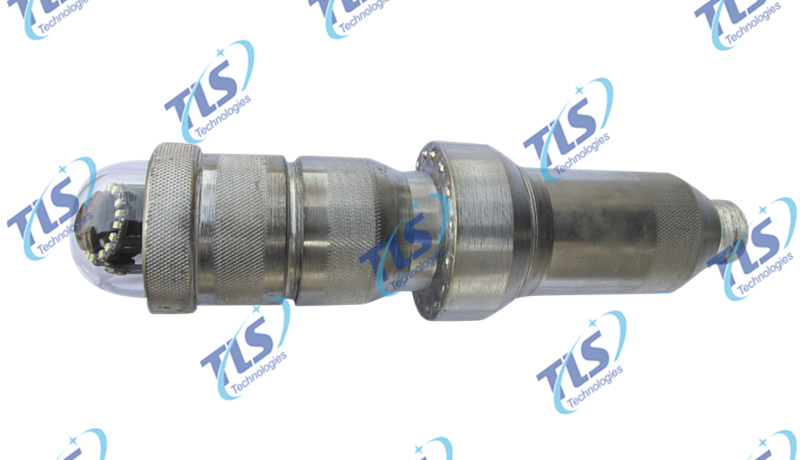 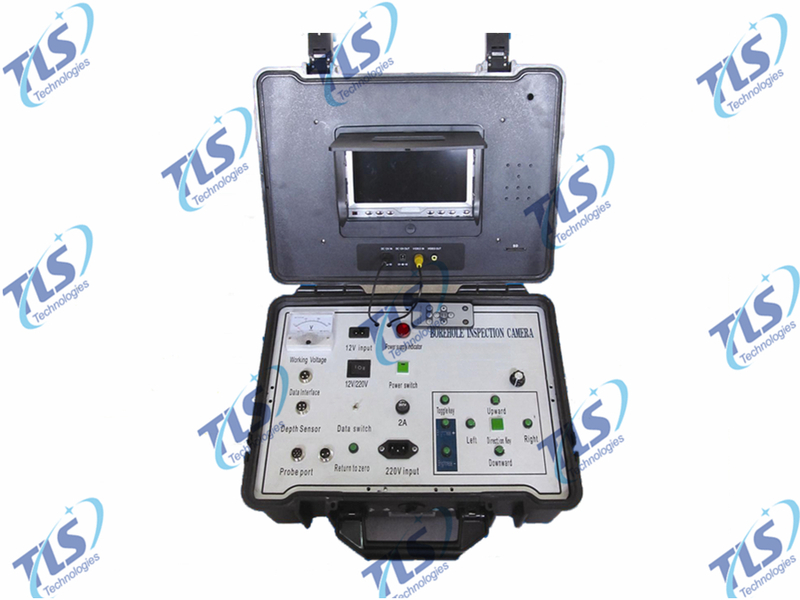 TLSY-ER Borehole Inspection Camera is specially suitable for engineering hydrogeology, observations of borehole in the plastid pile in all kinds of anomalies and defects, and the well maintenance and detecting of shaft wall fracture, dislocation, downhole falling objects, filter tube hole plugging, and sand flow location, etc., also suitable for oil field, geological freezing hole, geological prospecting, geotechnical engineering, engineering quality inspection and other related industries. 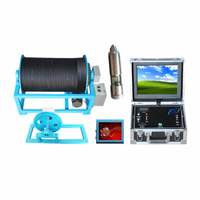 Engineering Plastics, AC220V or DV 12V input, 7 inches screen. 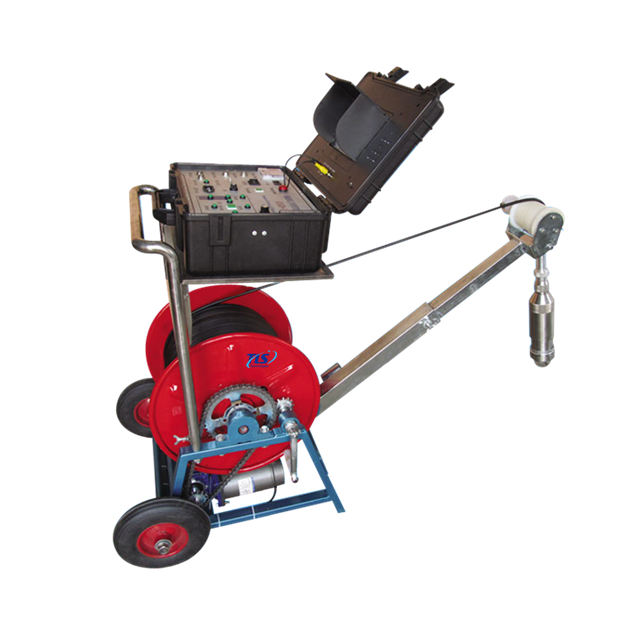 The winch installed in two-wheeled vehicle, is convenient to move, especially on flat ground. 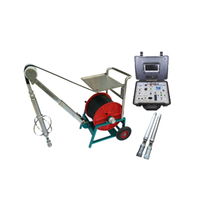 It is vogue and practical designed. 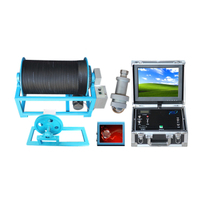 Electric-Manual Dual functions Winch: When input AC power source, used as electric mode; When supplied by battery, if the battery was in low level or the inspection time was too long, the battery only supply the power for the monitor, the winch would be used as manual mode. 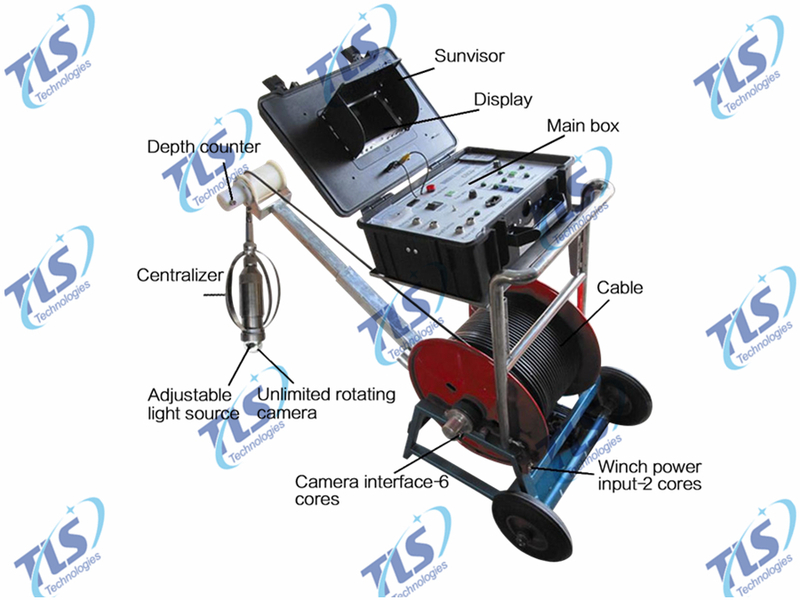 Holder for the monitor: Stainless steel, detachable, convenience to transport. 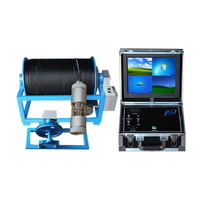 Guiding pulley: installed with depth counter, connected to the monitor with a data cable. 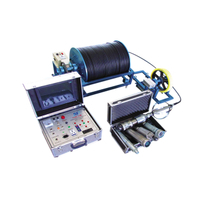 Pulley support bar: Scalable,detachable; there is hydraulic rod in the site of connecting point with the winch, to avoid shaking when testing. 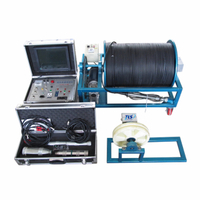 Depth counter: accuracy is up to 0.05m; if error arised, could be calibrated. 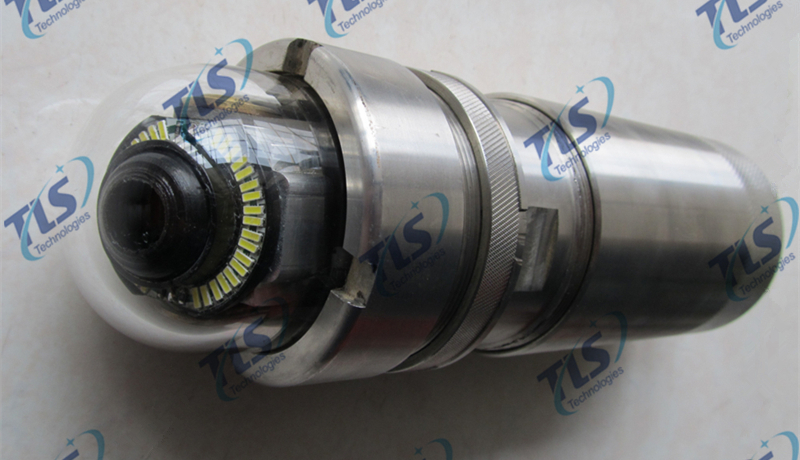 Zeroed the depth: Zeroed the depth counter before well logging.